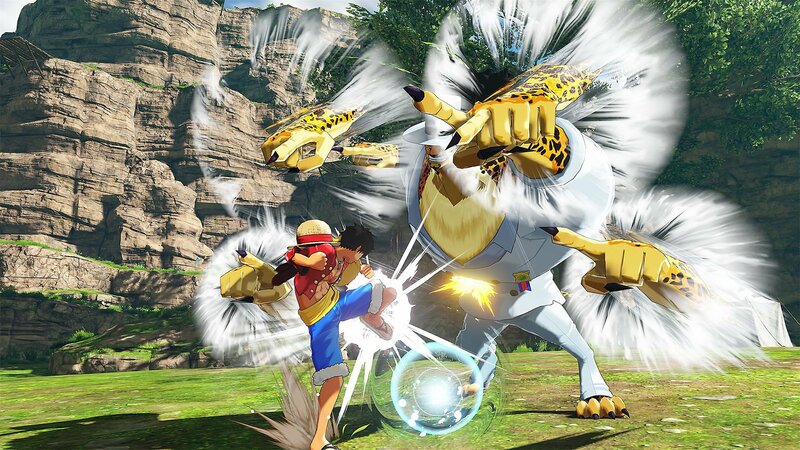 Breaking down the steps needed to heal yourself while playing One Piece World Seeker. While playing through One Piece World Seeker, it’s important to know how to heal yourself. Not only will you be able to keep coming, but you’ll be better prepared to tackle some of the game’s harder challenges. Because there’s so much to do in One Piece World Seeker, it can be easy to miss tips on how to heal yourself. Confused? We’ve got you covered! Below, we’ve put together a quick guide that explains how to heal yourself in One Piece World Seeker. In One Piece World Seeker, your health automatically regenerates over time. In your skill tree, you can increase the speed at which your health regenerates, making it easier to manage your health in battle. At the start of the game, the main way to heal yourself in One Piece World Seeker is through the built-in health regeneration mechanic. Essentially, if you take damage in One Piece World Seeker, you’ll be able to slowly regenerate your health over a set period of time. As such, you’ll want to pay attention to your health bar and learn ways to manage your health including mastering blocking and evasion techniques. For example, you can use Observation Haki to dodge incoming attacks. Not only is this great for avoiding damage, but it also gives you some wiggle room when it comes to health regeneration. The farther you get in One Piece World Seeker, the more skill options you’ll have available. There are skill options for just about everything in One Piece World Seeker, including ones that tie into health regeneration. If you’re someone who struggles with maintaining health, you’ll want to pay attention to the Parameter skill tree. By focusing on this branch in particular, you’ll be able to gradually increase the speed at which your health automatically regenerates. The faster your health regenerates, the easier it’ll be for you to stay alive in even the trickiest combat scenarios. To quickly recap, the main way to heal yourself in One Piece World Seeker is by relying on the game’s automatic health regeneration mechanic. To complement your health regeneration, you’ll want to learn how to block and evade damage as you heal. The farther you get in the game, the more skill options you’ll have available. To bump up the speed at which your health regenerates, you’ll want to progress the Parameter branch of the game’s skill tree. Now that you know how to heal yourself in One Piece World seeker, what do you think of the game so far? Let us know down in the comments below! For more Bandai Namco games, be sure to check out our review of Jump Force!